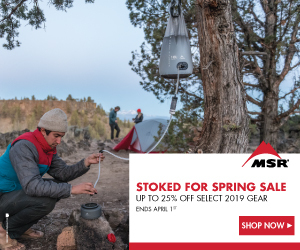 While there are hundreds of hiking boots, trail shoes, and trail runners available, most hikers and backpackers choose from a small set of common makes and models. We surveyed 2,700 hikers in 2019 to ask them what hiking boots, mids, and trail shoes they use. We found that 42% of them use just 10 different makes and models, which we list below, together with their average satisfaction ratings on a scale of 1-5, with 5 being the most favorable. Why does it matter what footwear other hikers and backpackers wear? Your hiking peers have very similar needs as you, ranging from ankle support and wide widths, to fast-drying mesh and larger toe boxes. That doesn’t mean that you have to wear the same hiking boots or shoes as everyone else, but it gives you a good place to start looking if you’re thinking about buying a new pair of hiking boots, shoes, or trail runners. So, don’t just take our word for it. Here are the 10 best hiking boots, trail shoes, and trail runners recommended by other hikers and backpackers in 2019. The Altra Lone Peak 4 ($120), a relative newcomer to the hiking and backpacking world, is the top trail shoe used by hikers and backpackers by a wide margin. Noted for their roomy toe box, splayed forefoot, and integrated tongue, the moderately cushioned Lone Peak has mesh uppers for enhanced breathability and drainage. This zero drop shoe has a toothy lugged sole that provides good traction, with an integrated stone guard that offers enhanced forefoot protection. An innovative gaiter trap on the rear of the shoe holds your gaiters in place. This latest version of the Lone Peak runs true to size. The Merrell Moab 2 Vent Low ($100) is a mesh trail shoe that features excellent breathability coupled with the durability and added protection of leather uppers. A reinforced toe cap provides great foot protection for rocky scrambles, while a rockered sole helps sustain forward momentum. The Vibram sole has large 5mm lugs that provide added traction in sand and mud, while a hard nylon shank provides arch support and protection. The Moab 2 is a very stable shoe that resists rolling, with air cushioning in the heels for enhanced shock absorption. Wide width sizes are also available. Noted for their affordability and availability in wide sizes, the Merrell Moab 2 Vent Mid ($110) is a long-lasting, lightweight hiking boot that provides excellent ankle support with wrap-around mesh that’s highly breathable and fast drying. The Vibram lugs provide excellent traction and protection for hiking across a wide variety of terrain from the damp forests of Appalachia to the high desert. The boot version of the Moab 2 Vent Low (see above), these mids features the same grippy Vibram sole and leather uppers, but with added ankle support. Wide sizes are available. The La Sportiva Ultra Raptor ($130) is a all-terrain mountain running shoe with a sticky rubber outsole geared towards all-day protection. Noted for their excellent traction, even on wet rock, they have a sturdy toe bumper and molded nylon shank that provides forefoot protection in rugged terrain. Mesh uppers are highly breathable and dry quickly when wet. Durability is good with reinforced plastic ribs that prevent the mesh from shredding. The Ultra Raptors have an athletic fit, narrow enough in the heel and mid-foot to provide a stable running or hiking platform. The Keen Targhee III Mid ($145) is an agile but well-protected waterproof hiking boot. The exterior is primarily made with leather, providing added stability. The aggressive outsole has large lugs to bite into the terrain, providing excellent traction control. An integrated shank provides torsional stability, while the mid cut height increases ankle support. Keens are especially good for people who prefer a wide toe box. Wide widths are also available. Size up a 1/2 size. The Brooks Cascadia 13 Trail Running Shoe ($130) is a well protected and durable shoe for fast hiking and running over technical terrain. A wrap-around mud guards keeps debris out of your shoes while mesh uppers vent moisture build-up. A ballistic rock shield helps protect your forefoot from sharp terrain, while deep directional lugs provide extra traction on up hills and downhills. Pivot points built into the sole provide stability and help you maintain forward momentum. Available for both men and women, the Cascadia 13 has a roomy forefoot to keep your toes comfortable. Wide widths are also available. Merrell’s Moab 2 Mid WP Hiking Boots ($130) are a waterproof version of Merrell’s popular Moab 2 Mid hiking boots (see above) and lined with Merrell’s in-house waterproof/breathable membrane. The reinforced toe cap provides forefoot protection, while a curved sole helps sustain forward momentum. The Vibram sole has large 5mm lugs that provide added traction in sand and mud, while a rigid nylon shank provides arch support and mid-foot protection. This mid-ankle boot is a very stable shoe that resists ankle rolling, with extra cushioning in the heels for enhanced shock absorption. Wide width sizes are also available. The Salomon XA Pro 3D Trail Runner ($130) is Salomon’s lightest advanced-chassis shock-absorbing shoe. Built for moving quickly, the 3D has lightweight, breathable sandwich mesh that keeps your feet cool and drains well. A beefy toe cap and forefoot rand provide extra protection, while minimalist kevlar speed-laces provide a secure and customized fit. Traction is excellent overall with a nice heel brake for descents. Wide widths are also available. The Salomon Quest 4D 3 GTX ($230) is a lightweight, but supportive hiking boot that incorporates trail running technology into its design. The beefy toe-cap provides protection for your toes while a TPU midsole helps control flex, reduce ankle strain, and shield feet in rough terrain. High ankle support, leather uppers, and locking lace eyelets provide good stability while eliminating heel lift and potential blisters. The gusseted tongue and Gore-Tex inner bootie protects against rain and water during stream crossings while grippy rubber outsoles provide excellent traction over wet and dry surfaces. The Vasque Breeze Mid III GTX ($180) is a Gore-Tex-lined waterproof hiking boot noted for its comfort out-of-the box. Nubuck leather uppers maintain abrasion-resistance on the trail, reinforced with a rubberized toe cap for protection from rock strikes. Ventilation panels circulate air inside the boot, preventing overheating in hot weather, while the waterproof liner seals out rain and water from shallow stream crossings. Wide and narrow widths are available for an excellent fit. There’s a lot of variety available when it comes to hiking footwear and ad people have a wide range of personal preferences. Which is why we highly recommend that you try lots of different options if you’re making a new selection, so you can discover what your preferences are. Here are some guidelines about things you should consider when choosing between different hiking boots, trail shoes, and trail runners. The buildup of sweat inside of hiking footwear and your socks can lead to blisters. When your socks stick to your skin, they can cause friction, and a friction burn, which is how blisters form. Breathability is key to preventing sweat build-up, which is why so many hikers prefer mesh hiking footwear, since it dries while you wear it. If your toe nails turn black when you hike, it’s because your toes do not have enough room in the front of your footwear. Size up or select footwear that has a larger toe box by design. Altra and KEEN shoes and boots have an exaggerated-size toe box, which is why they’re so popular with hikers and backpackers. One third of hikers and backpackers buy after-market insoles, such as Superfeet, to replace the insoles that come with their hiking boots, mids, trail shoes, and trail runners. These provide more protection, more arch support, and cup your heel to help prevent the lateral movement that can cause plantar fasciitis. They also last longer than factory insoles. Waterproof/breathable footwear tends to dry much more slowly than non-waterproof footwear. While waterproof hiking boots and shoes are good for hiking in cold weather, it’s often more desirable to have a well vented mesh shoe that dries quickly than one that stays wet for days and can lead to blisters and other discomfort. Many hikers opt for boots/mids because think they’re necessary for carrying heavier weight backpacks and provide more ankle support than low trail shoes or trail runners. While that was probably true when all hiking boots were made with heavy leather, modern hiking boots and mids are much softer and less supportive, and are really just one step up from being trail or running shoes. While they can provide more assurance, you can still twist an ankle wearing one. On the flip side, many hikers and backpackers are able to carry heavy packs and walk in rugged mountainous terrain in trail shoes and trail runners. In other words, there’s no right answer and you should decide for yourself, rather than follow anyone’s gospel truth. Boot and shoe manufacturers make a big deal about traction and while it is important, it’s very difficult to prove that different sole compositions, lug angles, lug depth, Vibram or non-Vibram soles, blah, blah, blah, etc. make that big of an impact on traction. When push comes to shove, the only hiking traction that really matters is when you’re scrambling on wet rock or walking along a cliff edge. Even then, good footwork is probably more important, so develop that rather than relying on your shoes. Hiking and backpacking can be tough on the feet, particularly around the toes and under the arch. It doesn’t affect everyone, but it can lead to injuries that take a long time to heal. Built up areas around the toes, sometime called toe kicks, are good if you hike in rocky terrain. A shank is usually a hard strip of nylon or plastic that runs under the arch and helps stiffen a shoe or boot. Hikers wear gaiters to block sticks, stones, and other debris from getting into their shoes while they hike. But some shoes are more gaiter compatible than others. For example, if your gaiters have a strap that loops under your shoe, you’re going to want to have footwear that has an arch, so the gaiter strap doesn’t get destroyed by rubbing on the ground. Gaiters designed for trail shoes or trail runners may require gluing a velcro strip to the back of your heel to hold the gaiter in places. If this is the case, make sure there is a flat surface on the back of the heel that you can glue the velcro strip too. About 1/3 of all hikers require footwear in wide widths. Companies such as Merrell, KEEN, Brooks, and Vasque have the best selection of wide width hiking footwear. How do we know what the top 10 best hiking boots, trail shoes, and trail runners are? We survey our large readership to ask. If you’d like to participate in our surveys, be on the look up for the gear raffles we run every few weeks on SectionHiker, where we give survey participants a chance to win. Or sign up to the weekly, award-winning SectionHiker newsletter, so you never miss out on an opportunity to participate. We hate spam, so we’ll never share your email with anyone else and you can unsubscribe at any time. I switched to Altra Lone Peak 3.5s last year for backpacking and for the most part I liked them. They were very comfortable once I replaced the stock insoles with a Superfeet insole. For the most part the shoe has held up well, with the exception of the toe guard that has to be glued back into place after ever trip with Shoe Goo. I am interested in the new 4.0s, but they are elusive to find north of the border, which means I will probably have to order them online. I found the 3.5s to run at least a 1/2 size small … does anyone know if the 4.0s follow this trend or are they more true to size? I bought Lone Peak 4’s last August as they were arriving in stores. I tried on a US 10.5, 11 and 11.5 and settled on the 11, my normal size. I like the traction the new outsole provides and everything else about the shoe with one exception: after perhaps 100 or so miles the midsole was flat. All the cushioning was gone. (Altra’s customer services took care of my issue without balking.) Since then, I’ve noticed similar reports on Altra’s website. I like it when my gear shows up on your lists! If a product works for you, what difference does it make? The difference is in the chance increasing for that product not to get canceled because nobody else uses it. If you go with non-waterproof footwear, a great addition to your gear is a pair of Goretex socks. Usually sold as cycling gear. Great for wet days or times when you want waterproof without having to wear waterproof all the time. All last summer & fall, I only needed to wear them one time. Surprised there are not any Inov-8 shoes on the list. I still love their fit and many options in padding/heel drop etc. Hardly anyone in the 2700 respondents uses them. I used to use Inov8’s when they made the Terroc, but then they went and removed the mesh, so I switched to a different shoe. ditto this. I have several pairs of hiking shoes, trail runners, hiking boots, winter hiking boots etc. But I have a special place in my hear for my old (1st version ~2012) Inov8 Rocklite 295’s. They are the grippy-est shoes/boots/trail runners, whatever, I’ve ever worn. I strictly use them when I expect conditions are going to be slippery, wet rock, steep inclines on rock. Will probably use them on the Huntington Ravine Trail this summer rather than my Salamon gtx 4 3D’s. I’m surprised only one model of La Sportivas made it in the top 10. It’s hard to beat the Altra marketing machine. Marketing machine? My local REI has been pushing the Oboz brand, yet not one made Oboz shoe/boot made it to your list. We asked 2700 hikers what they used. Oboz did not make it into the top 10. I understand what you mean. It seems like every gear reviewer with a website or YouTube pushes Altra. Except you that is lol. I’ve never really had a desire to try them since they don’t have an arch and I use Montbell Spats. I own 5 different models of La Sportiva and love them all, plus they have that arch. I guess when you find a brand’s size that works you stick with it. That’s because I’m unsponsored and don’t accept manufacturer sponsorships. I did review the Lone Peaks a few years ago but wasn’t impressed with the traction on wet rock, but I did recently order a pair to re-review them. I’ve heard they’ve gotten better. Hmm, most of what I’ve read from die-hard users say the newer models 3.5 and 4.0 aren’t as durable as 3.0. Maybe the traction is better but that hasn’t stuck in my mind. Either way I have no reason to buy them but look forward to seeing what you think. Have you tried the La Sportiva Akyra by chance? I haven’t yet but it’s my next purchase. Looks like a happy medium between Ultra Raptor and TX3. Not yet. I’m a pretty die-hard Ultra Raptor fan boy. But I’ve been wearing some Oboz Sawtooth Low’s lately and I’m pretty impressed with them. They’re not trail runners, but they’re still great for hiking in. Handle mud, really well! I have Wildcat, Ultra Raptor, and TX3 as my main three. I love the traction and side protection of the TX3 but sometimes it is a little hot in the summer and definitely doesn’t drain as well because of the full rubber rand. My main issue with the Wildcat and Ultra Raptor is the grip isn’t as good as the TX3 and similar approach shoes. Those grips tear too, I have to repair them with Seam Grip sometimes after a full day on steep rocky trails. I’ll find one or two of the protruding grips dangling. The Akyra has some sort of fabric rand unlike the Ultra Raptor or TX3 and circular grips that are kind of similar to their approach shoes. Maybe we should both try it next! The REI dividend and 20% coupon full price item is coming up soon lol. I would still be wearing Vasque Breeze (low) if they still offered a breathable, non-GoreTex model. For the last ten years, I find a shoe that works great, then they drop the breathable model, then I need to find a new shoe. KEEN only makes the GoreTex version of the Versatrail, so I need to find a new model soon. Bleah. There is no substitute for trying on the shoes. Different lasts and upper designs fit different shapes of feet. After-market inserts help, but cannot fully correct lasts that don’t fit your foot shape. Generally, once I find a brand that fits well, I keep buying that brand. I have a high-arched, very narrow foot shape, and typical “medium” or “one width” shoes are worthless for me. I’m have the same type of foot. So frustrating that no one makes a AA/Narrow width trail runner since New Balance quit offering them. I can find a few boots in a women’s narrow, but they’re overkill on trails. I have similar issues, Brooks seem to work for me. My main issue is that while my heel is very narrow, my toes need a medium width. Keen drove me nuts as my foot kept sliding from one side of the shoe to the other. You are right, there really is no substitute for trying on several pairs of shoes for fit and testing them out before you hit the trail. Cascadia 13’s also have an integrated gaiter point on the rear of the shoe. There’s a lace guard pocket on the tongue of the shoe – don’t need it all the time, but very nice when it’s needed. Best-designed laces I’ve had – very smooth loosening and tightening, But really hold a knot. Superfeet Carbons fit like a glove in them. I liked my two pairs of Cascadia 12’s; the 13’s are head and shoulders above them. I wore Keens until I broke my foot. Once I was able to go into a pair of shoes, the only brand wide enough for my still swollen foot was Altras. With their zero drop build, I thought they were gimmicky and never previously tried them. I’m very happy with them and wished I tried them sooner. I spoke with Altra about my PF. They state their shoes are not made to help it, however, the PF has gotten about 75% better. I’m not sure if it was the shoe or not that helped it. This is a great list Philip. I started my AT 2018 thru hike with Merrill Moab’s and wore them for about 500 miles. The toe box became too tight and the Damascus, VA outfitter didn’t have any in wide sizes. So I switched to the Altra Lone Peak 3.5. I wore them for 500+ miles and while I loved the toebox the cushioning wore out quickly which left me whimpering on the trail. So I switched back to Merrill’s for another 500 but they were too bulky when compared to trail runners. Then I switched to Hoka ATR Challengers and wore them for a bit over 500 miles right through my summit at Katahdin. I never found a shoe I loved and realistically you can’t expect trail runners to last much more than 500 miles. For what it’s worth the Moab’s soles looked darn near new even when I was dumping them. After my thru hike I switched to Brooks Cascadia and while I liked the rock plate they weren’t cushioned enough. In November I purchased the Altra Olympus 3.0’s. OMG – I love them. Very room and cushiony. My wife no longer tolerates my female shoe jokes after I’ve gone through 6 pairs of hikers in less than a year! I once told my husband that he was the “Imelda Marcus” of the running shoe world. I’ve had three generations of the Keen Targhee mids and have put a thousand miles on these shoes (across a few pairs, of course). I swear by these kicks. They’re durable, lightweight, trustworthy, dry, cool, and fit “like a glove.” When the Keens first arrived on the scene a while back, I was a Merrill wearer, albeit never really a big fan, but I was skeptical about the Keens. However, I had good experiences with Keen street shoes so I gave the hikers a shot. I am a huge fan now…I’ll never go back. The highlight for me is their versatility: they do well in dry and wet, rocky and sandy, hot and cold, home turf and abroad; I’ve worn them on five continents in every biome except real tundra. I’ll stick with these guys for a while. I’m surprised that the New Balance Minimus 10v1 Trail, sneakers failed to be included in the list. My pair weigh one pound. Let us not forget that every pound on your feet is equal to approx. 6.4 pounds. Worn essentially for hiking at reduced fatigue, greater comfort except on very rocky terrain and greater speed. Highly practical for hiking with 20 or less pounds of load. As load is increased, people with ankle issues need ankle support. I’m not surprised that the Lone Peak appeared at the top. I wear them, and they’re fine. However, I am a bit surprised that the Altra Timps don’t have a bigger following. In my opinion, they’re a better hiking/backpacking shoe. I’ve worn just about everything over the years, and the Altra design model really works for my feet. All that said, the Altras get huge negatives for durability. The company really needs to address that. To hear someone proudly state that they went through six pairs on a PCT hike is a little scary. I’ve never made it past 500 miles without significant degradation of the uppers. Here, Here. I rarely get more than 250 miles off of any trail runner. The Timps certainly do have more substance beneath the foot. As my first pair of Altras for hiking, I’m timid about hitting the rough and rocky trails with them for the first time. Altra isn’t going to beef up their trail runners for the benefit of hikers, given how many keep buying their shoes just the way they are. I’m not sure. They seem to have at least given a nod to durability in their latest iterations. I’m looking forward to my next pair of Timps. They’ll be the newer ones. Don’t worry about rough and rocky. I hike primarily in the Hudson Highlands, Catskills, and western New England. The uppers might wear out, but the soles hold up really well. Good list. I like the Merrell Moab 2 Vents for warm weather hiking. My Lone Peaks by Altra have become my favorites of all time. Phillip’s footwear list very much concurs with The Trek’s annual long trail hiker gear surveys. Note that most of the shoes listed tend to fit rather well with those on the wider end of the foot spectrum. At the end of a 2000+ mile trip, the feet of hikers will be a good bit wider then when they started. Happens as you get older, too! (me for instance). As an addendum, I’ve come to really enjoy the Altra Temp Trail. It’s like the Lone Peak with a few mm more foam. I notice the difference on a full day of rocky trails. My guess is slightly thicker foam will hold up a bit longer than the thinner foam of the Lone Peak (3.0). The Temp Trail feels every bit as stable as the Lone Peak. Just my two stones worth. Shoes and boots is almost an impossible comparison outside of longevity, durability and maybe waterproof features. Mainly because everyone’s feet and gait are different. Personally, I have used Inov8 trail shoes or mids since 2008 for trails combined with x-socks. For me, they are almost perfect. But for someone else they could be dreadful. Running trails, Inov8 are dreadful for me. For that I prefer New Balance. It’s a very broad church ? ?